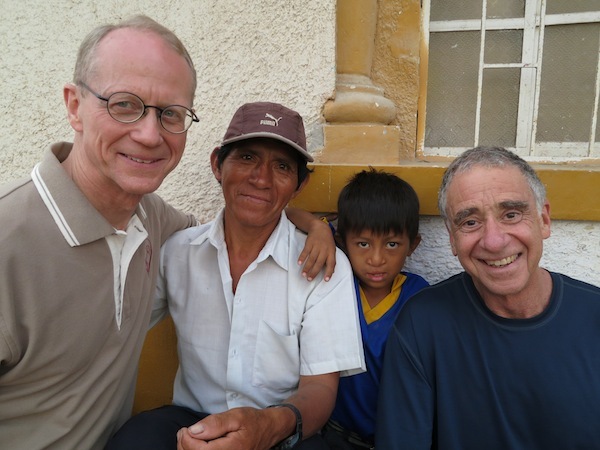 Lambayeque was bathed in an orange glow of the setting sun on Saturday evening, just as the FACES team was leaving the hospital. They had spent the last several hour organizing and preparing for the operations that would begin on Sunday. As the last members of the team left the hospital, they spotted two crouching figures, leaning against the dusty white walls of Belen Hospital. “Christian!” they exclaimed to one another. It was Christian Perez, and his father Andres. 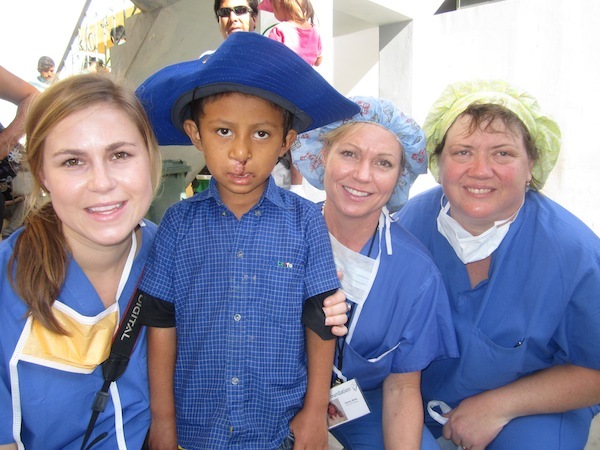 Christian was a cleft palate patient who received an operating during the 2012 surgical trip to Lambayeque. Through extremely shy, Christian was a star among the FACES team. He rarely spoke, but his charisma and personality was impossible not to fall in love with. Christian could often be found in the waiting room playing with a soccer ball. 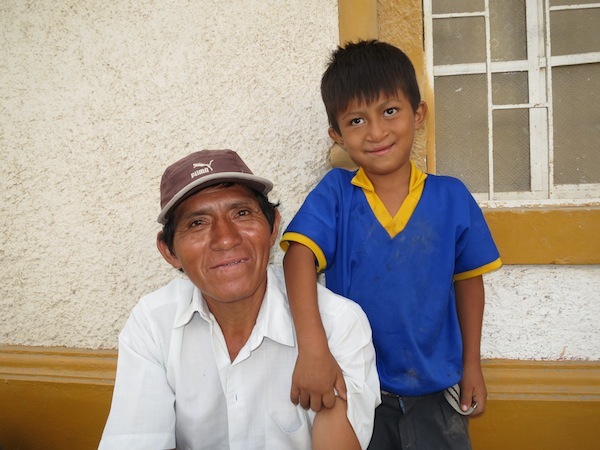 Christian, now 6 years old, lives in the extremely rural village of San Antonio. FACES has a connection with San Antonio through Café Femenino Foundation, a women’s coffee cooperative that works with rural women coffee producers. Andres Perez’s daughter is a member of Café Femenino. When Christian was four years old, through his connections with Café Femenino, he was linked up with FACES Foundation. Christian made the initial journey to see the FACES doctors two years ago, a journey which spanned the course of three days over bumpy, dusty roads and through the mountains. Over these two years Christian has received two operations from FACES. After spotting Christian, Dr. Tom, Kelly, Leah and Delia rushed over to him, giving him and his father hugs and kisses. Though Christian was doing just fine, he had made the three day journey once again just to check up on Christian’s condition and to say thank you to the FACES team. Christian’s case is an example of the power of partnerships. Through his connection with Café Femenino, they were able to refer him to FACES. Andres says he is so thankful for Isabel and Mercdes, Café Femenino leaders, because they informed him of the FACES cleft campaigns. Kelly Jensen of FACES, Andres Perez, Christian Perez, and Dr. Tom Albert of FACES. Christian after his cleft lip surgery last year, with Leah, Tammy and Shellee. 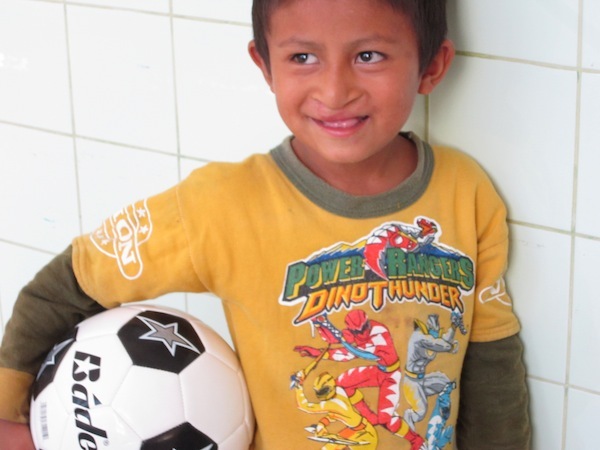 The famous Christian with his soccer ball, during the 2012 surgical trip.